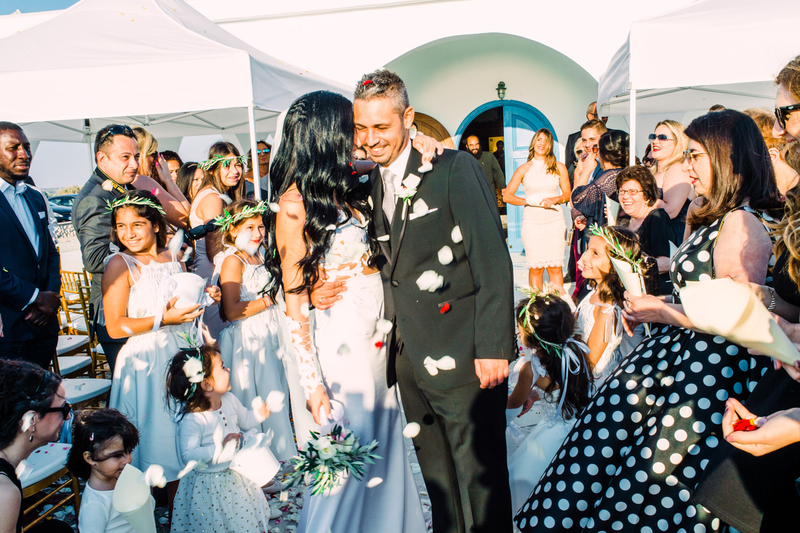 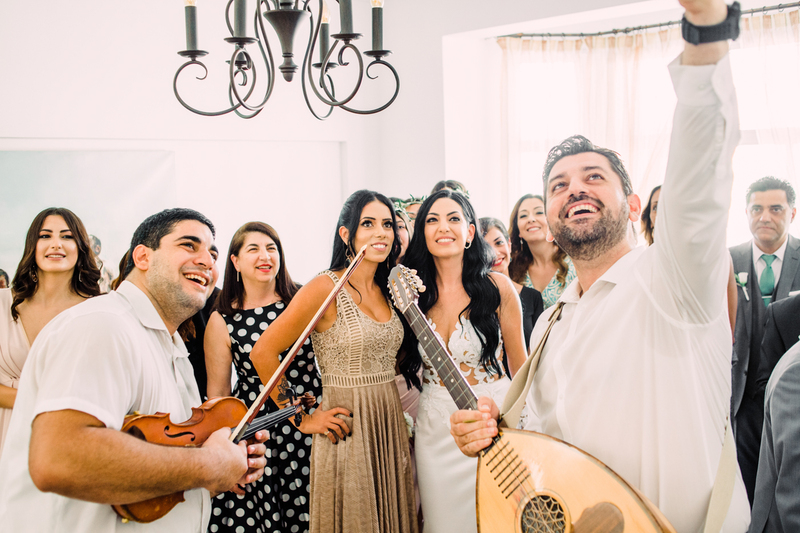 For a movie star wedding like this one you need a movie back story, and Vicky and Nikos certainly have it. 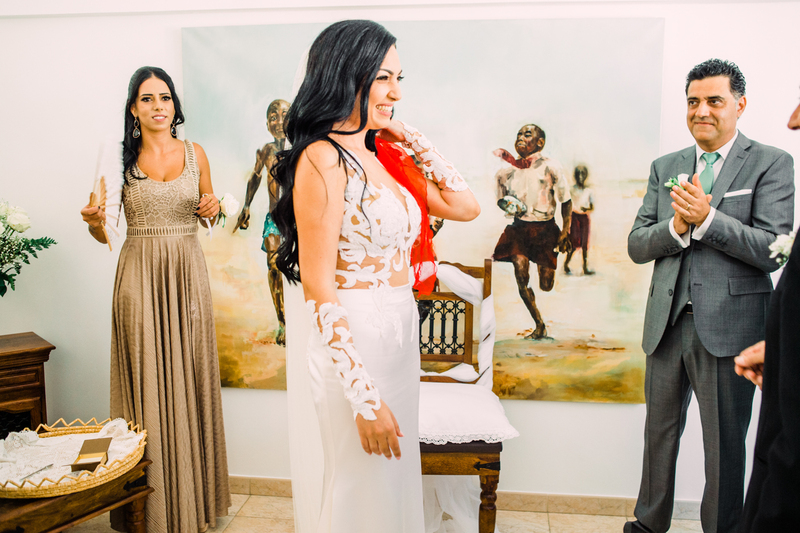 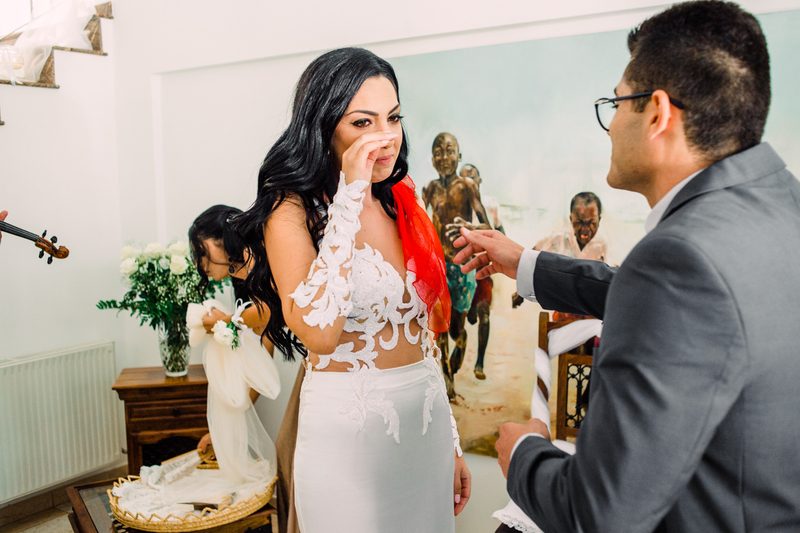 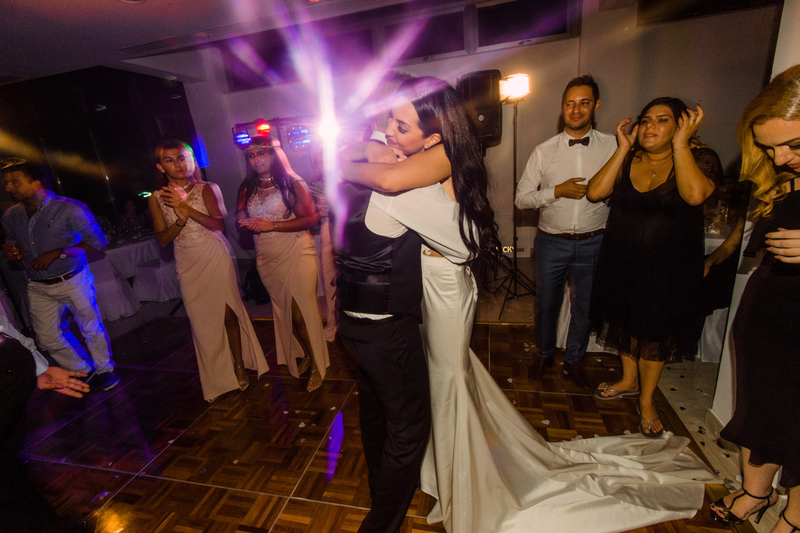 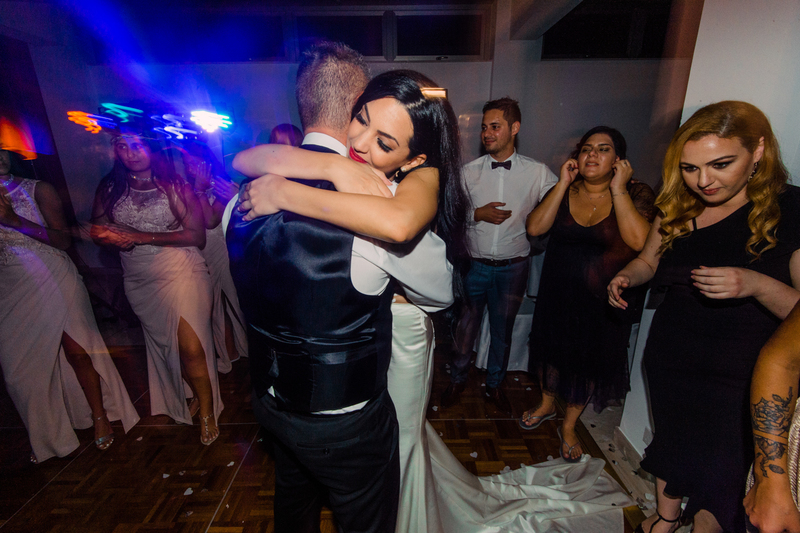 This stunning couple met on a Friday night in their local bar. 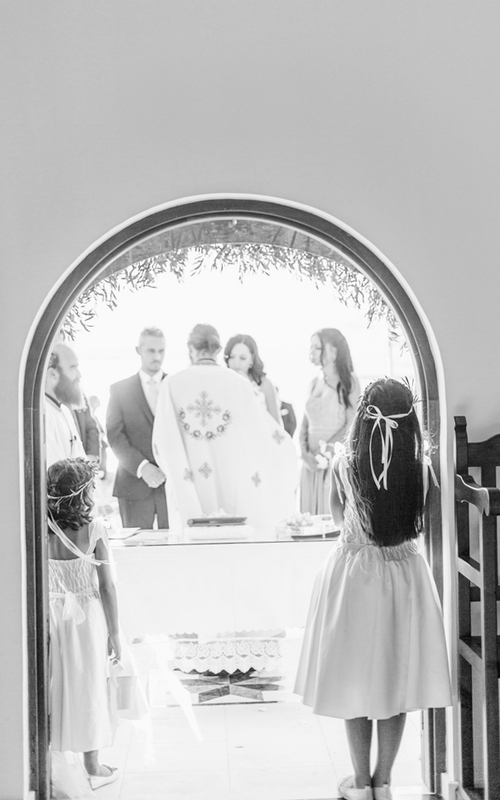 They already loved to hang out here with friends, they even had their favourite spots at the bar, but they hadn’t yet found an opportunity to talk to each other. 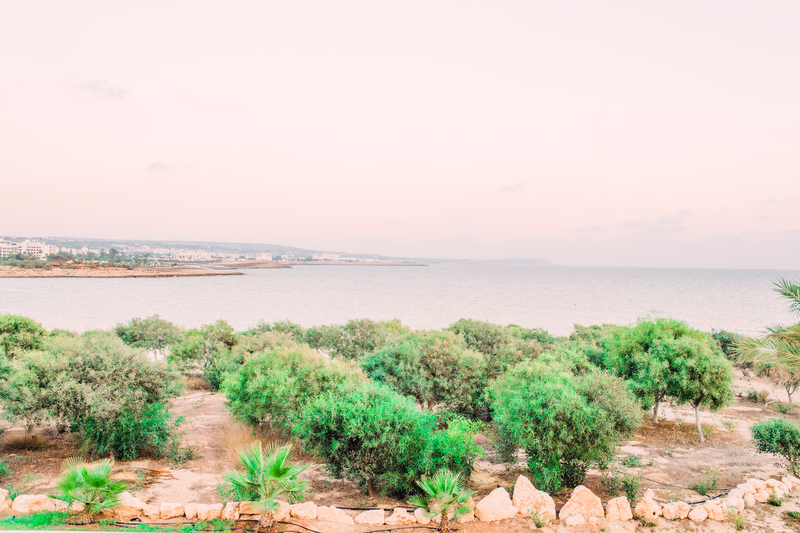 Fate intervened on this particular Friday night when there was a power cut and everyone had to grab their drinks and sit outside. 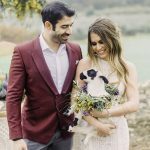 They were destined to meet and as soon as they started chatting that night outside the bar, their future together was sealed. 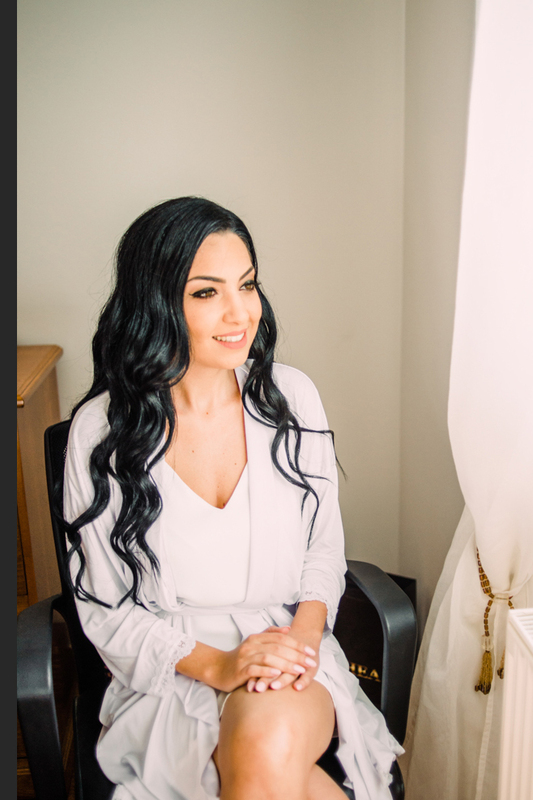 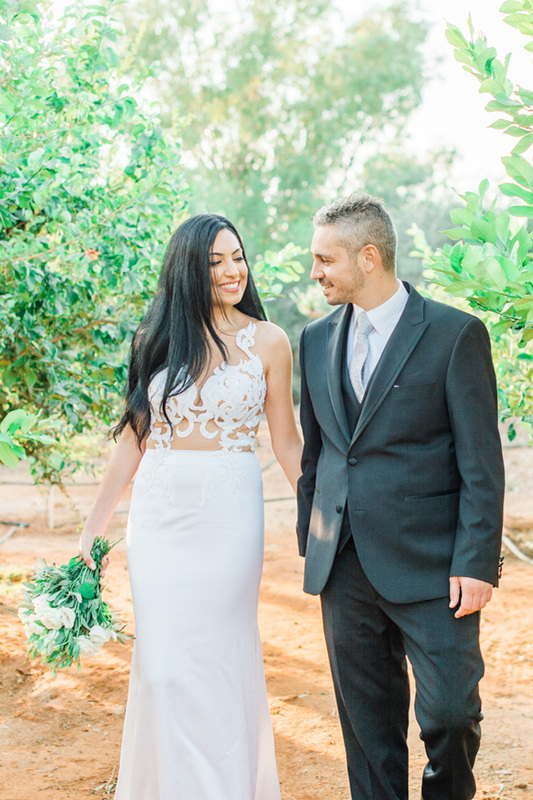 Vicky and Nikos were a joy to photograph, as the love between them fills every space around them. 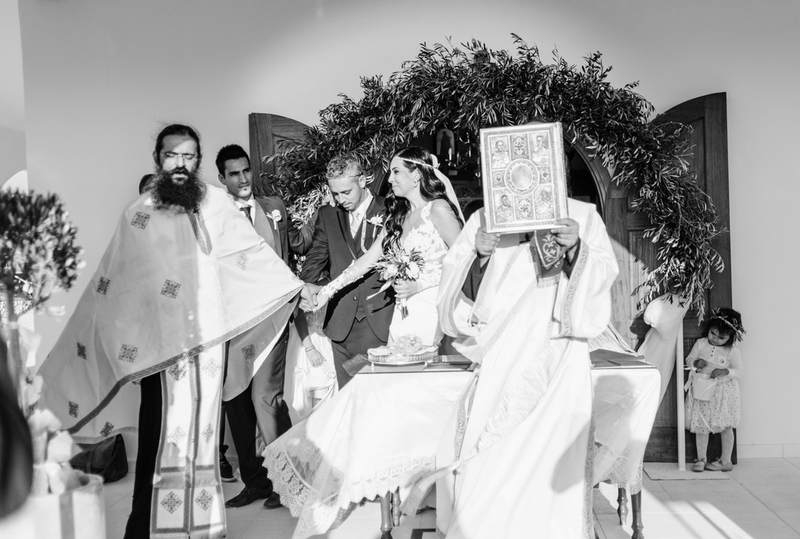 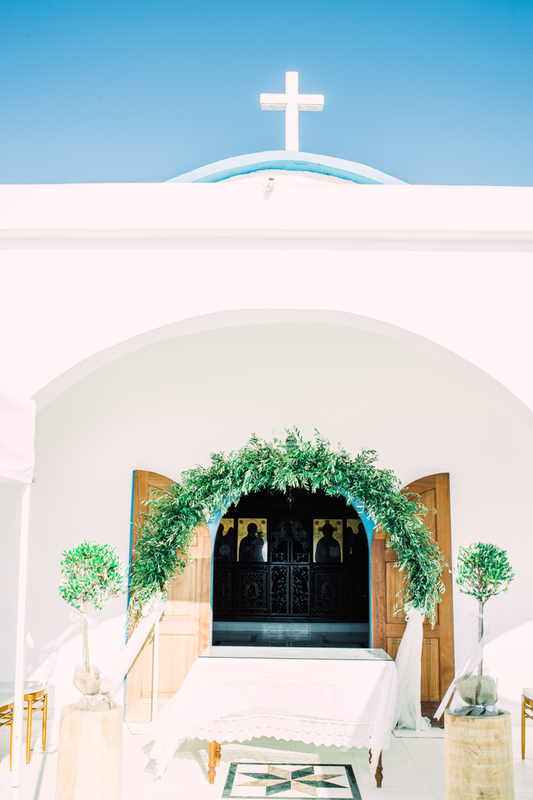 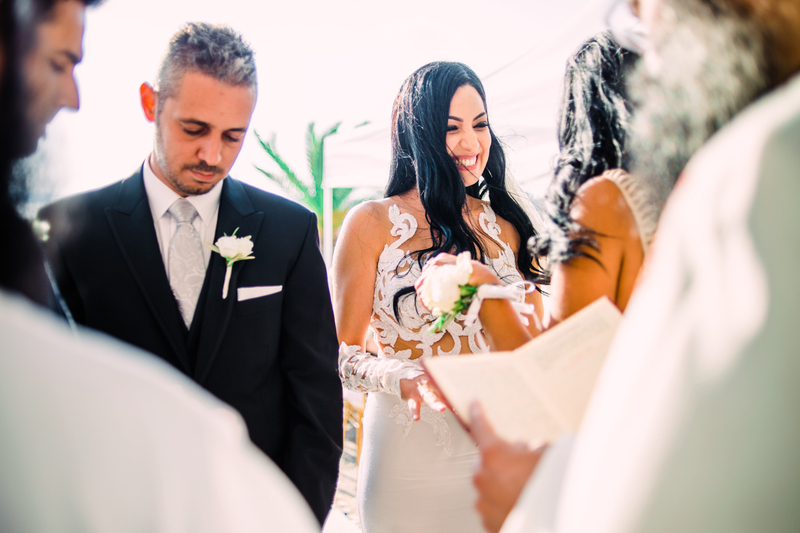 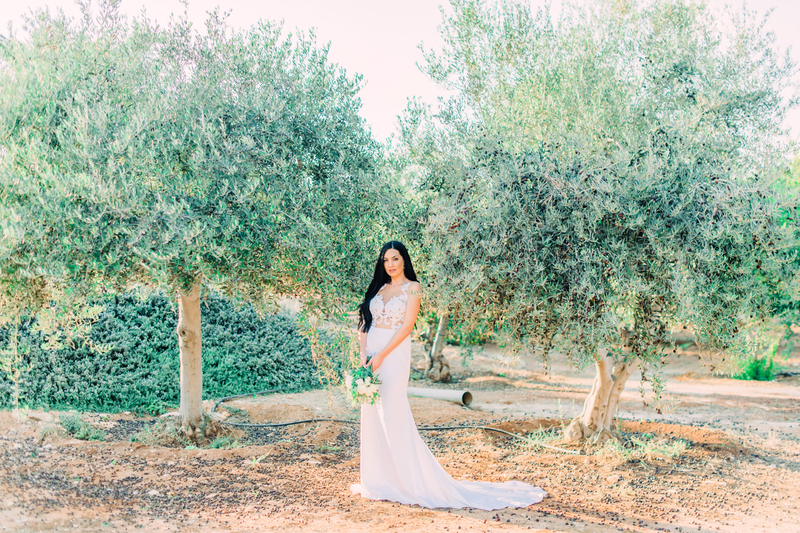 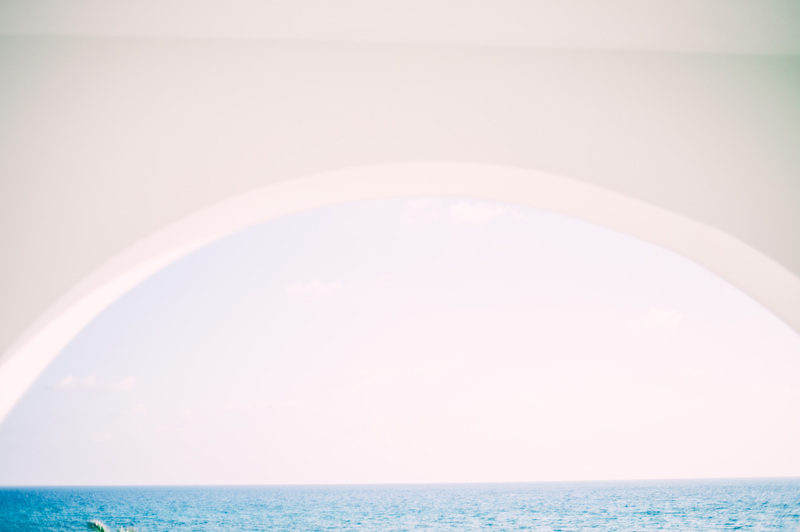 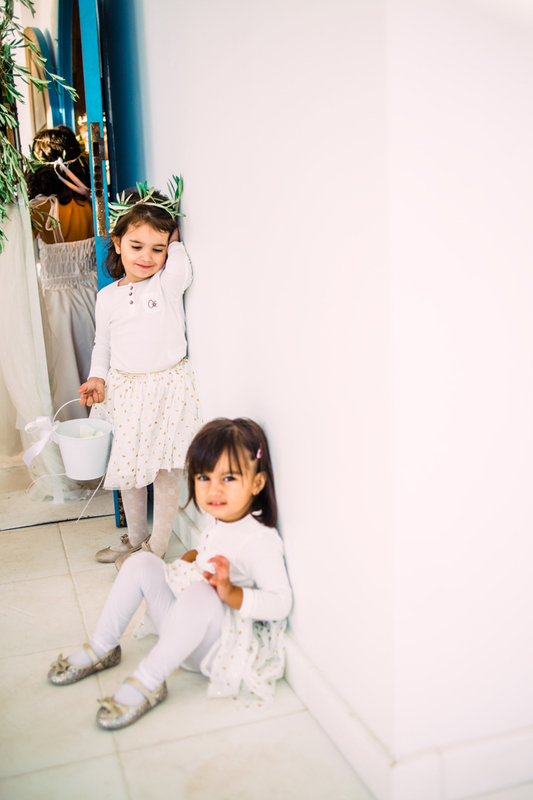 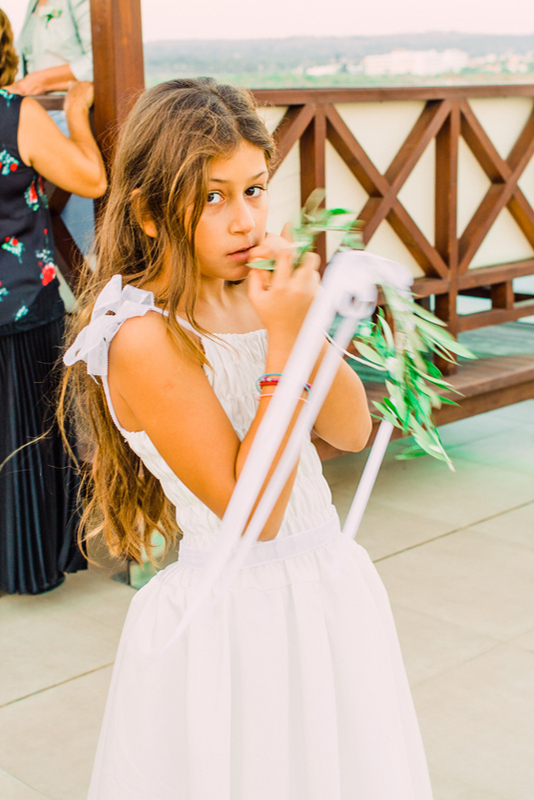 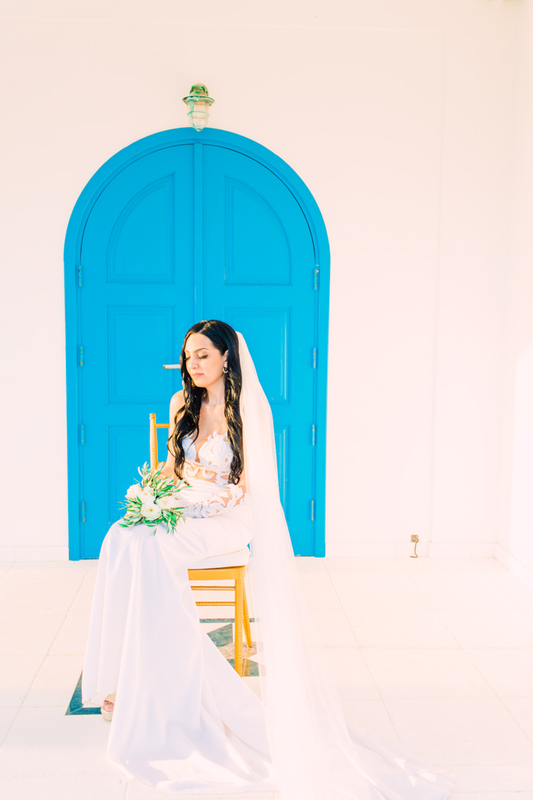 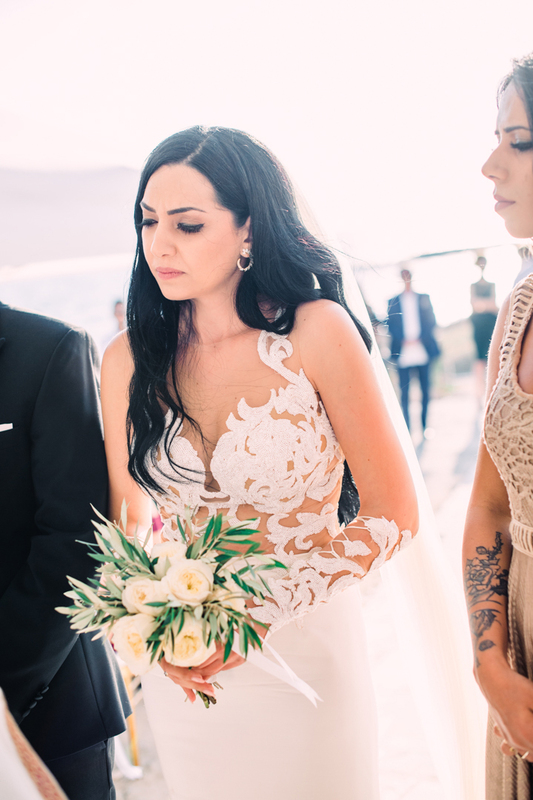 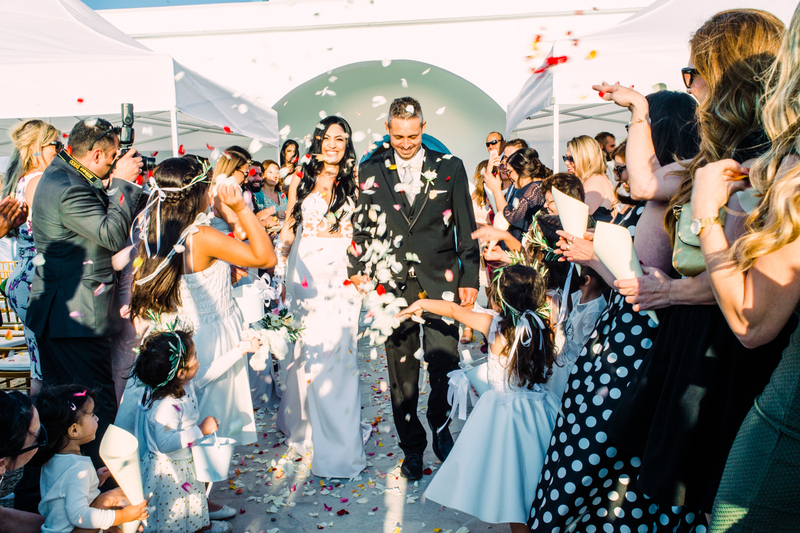 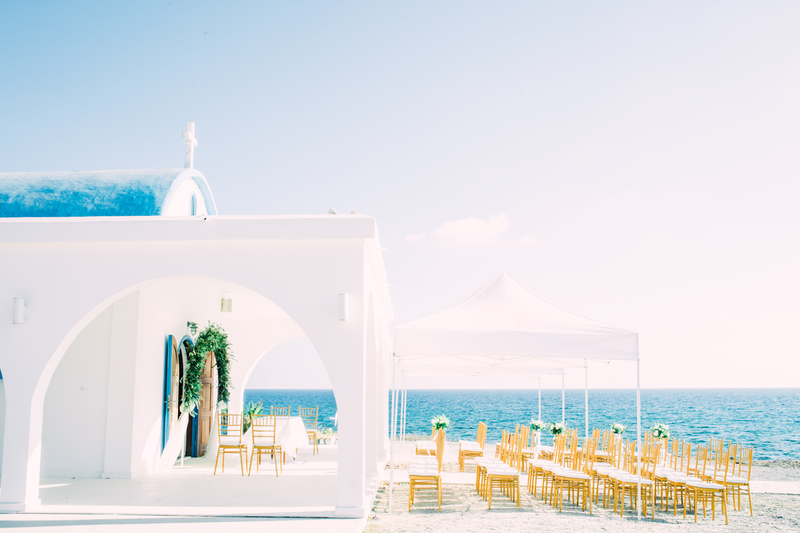 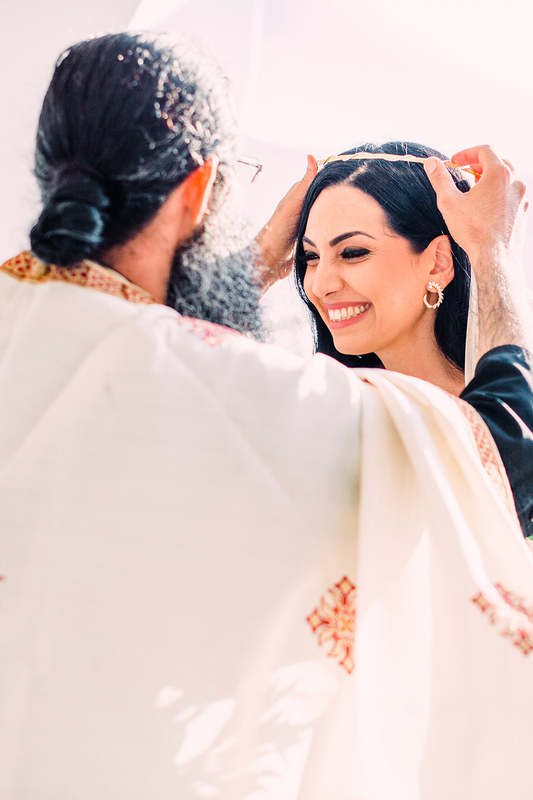 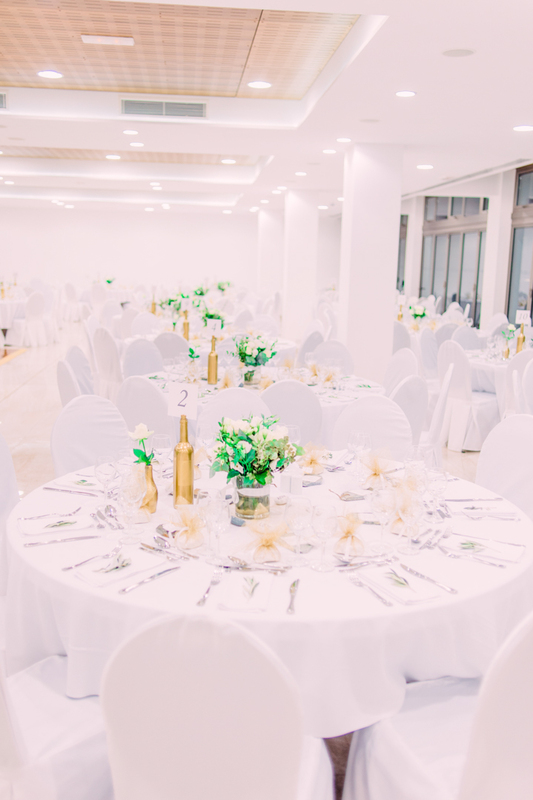 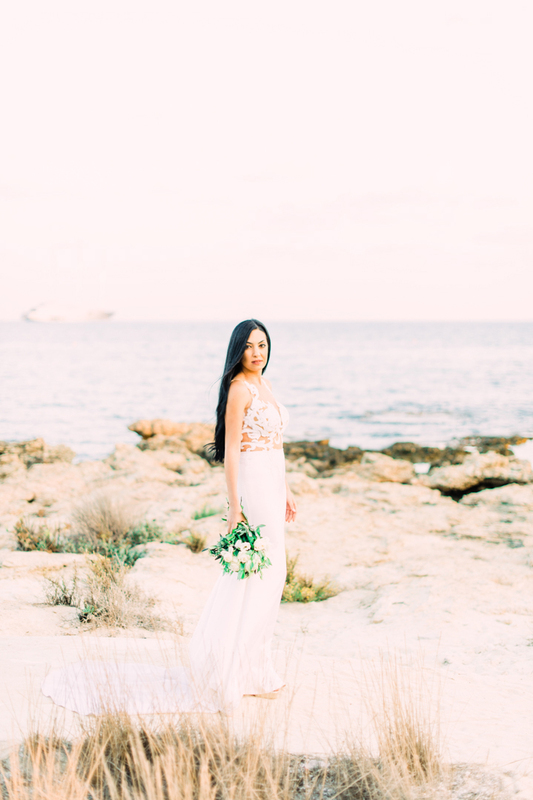 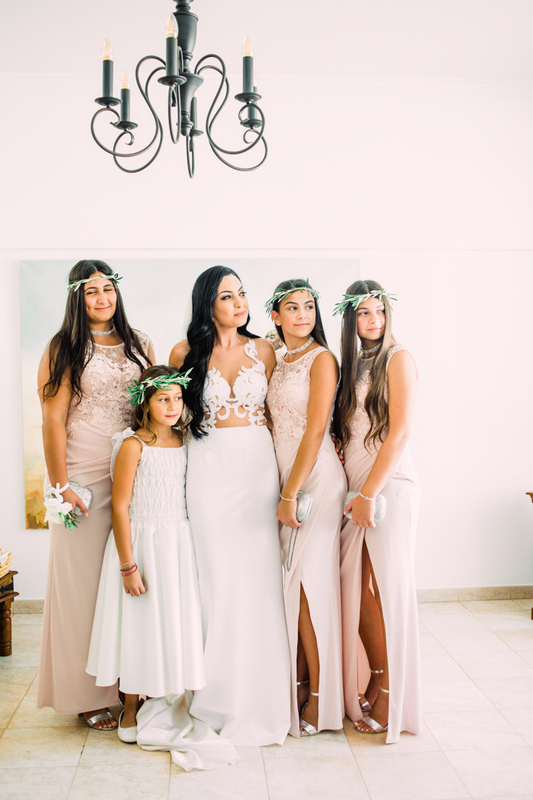 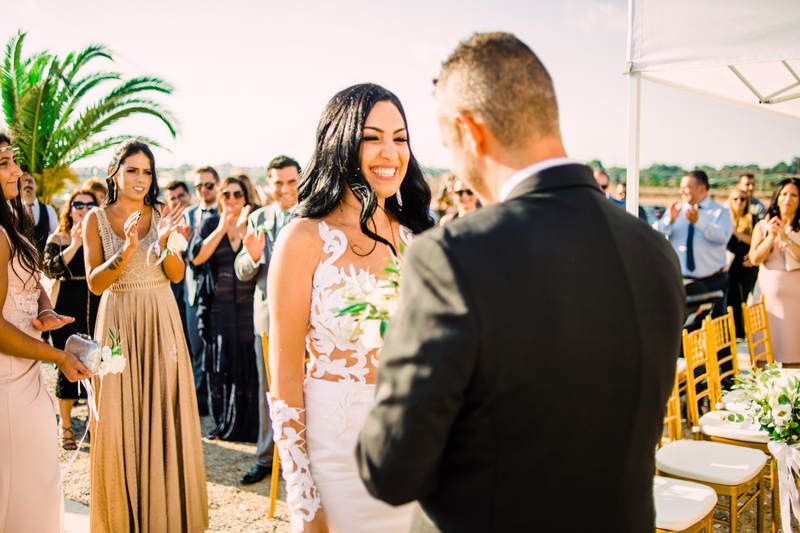 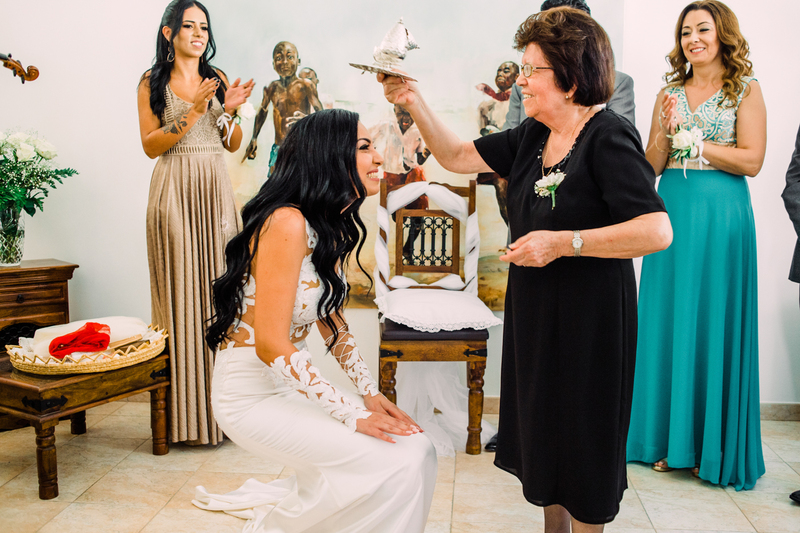 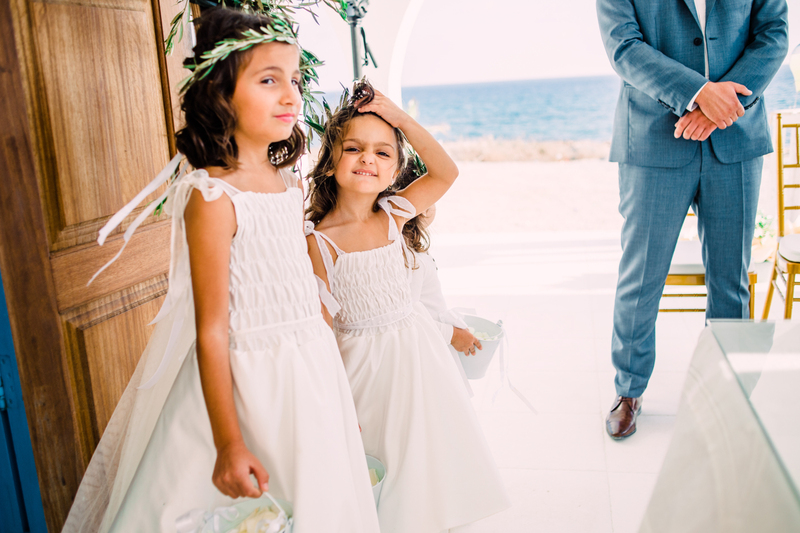 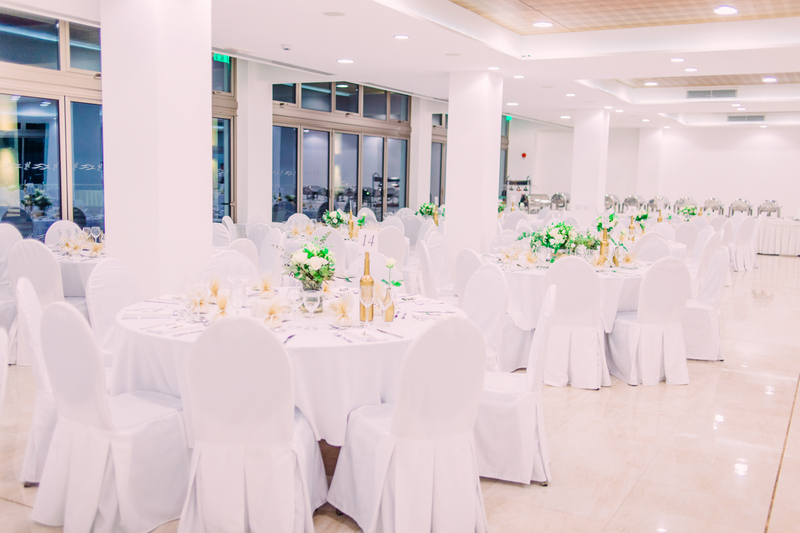 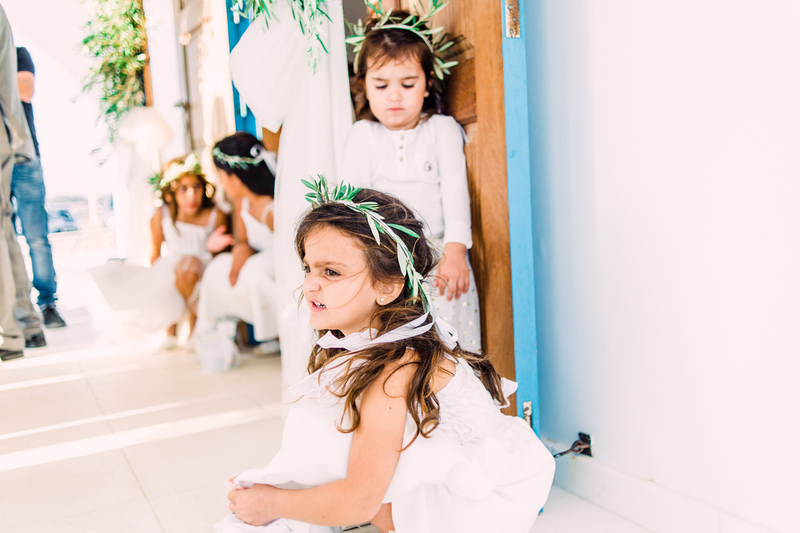 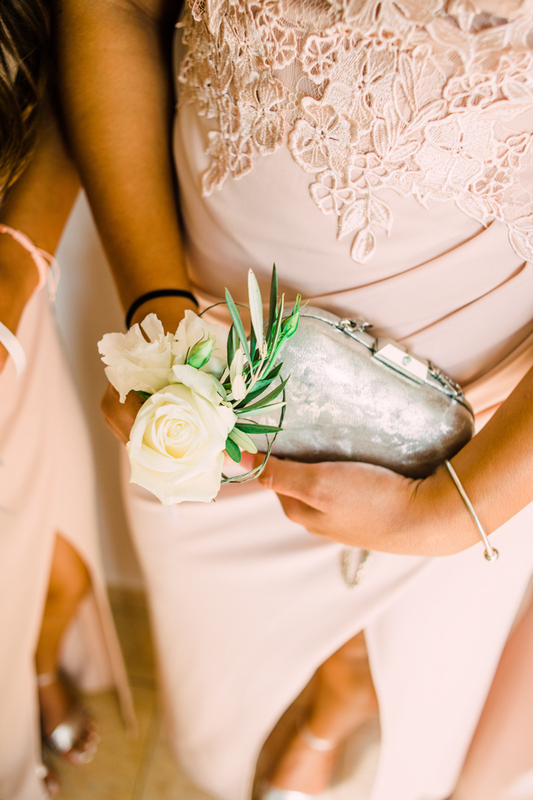 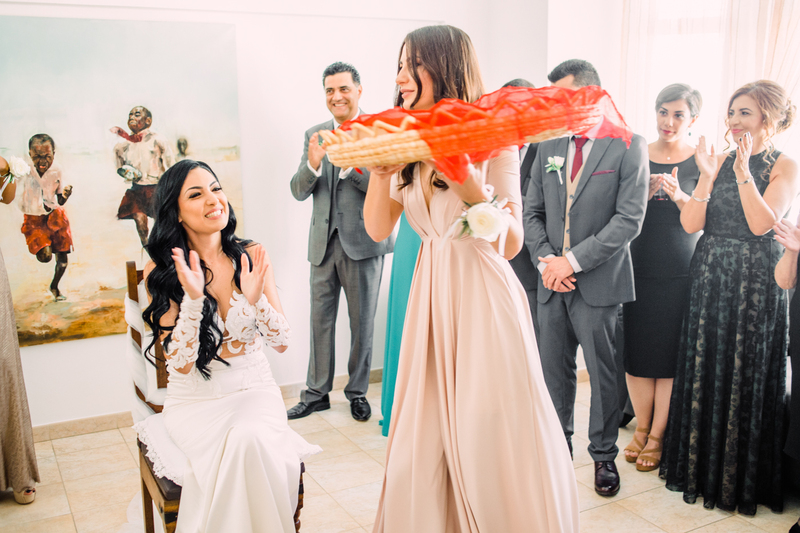 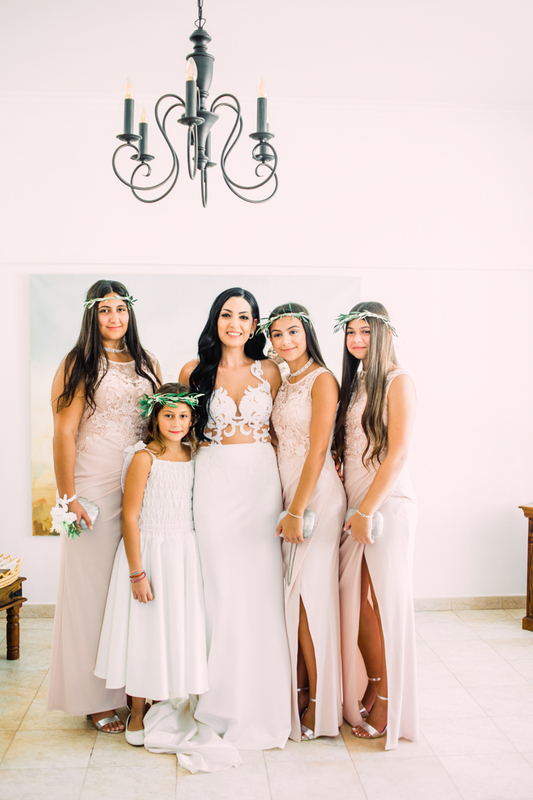 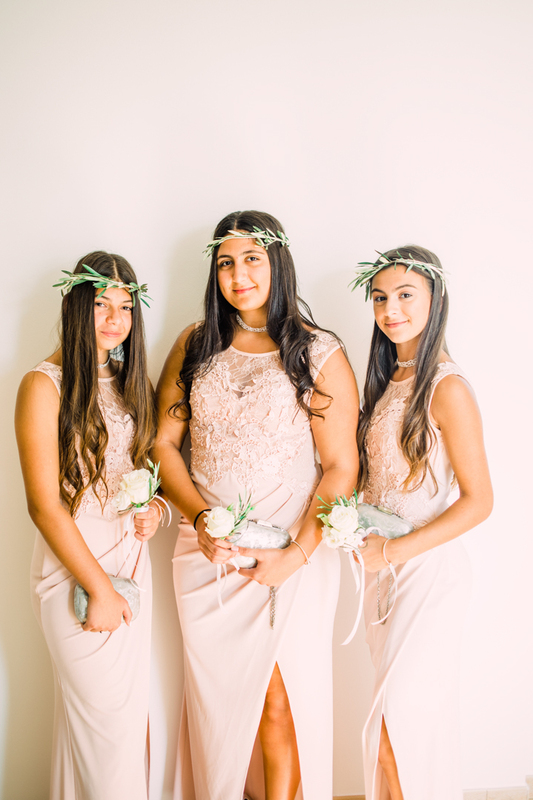 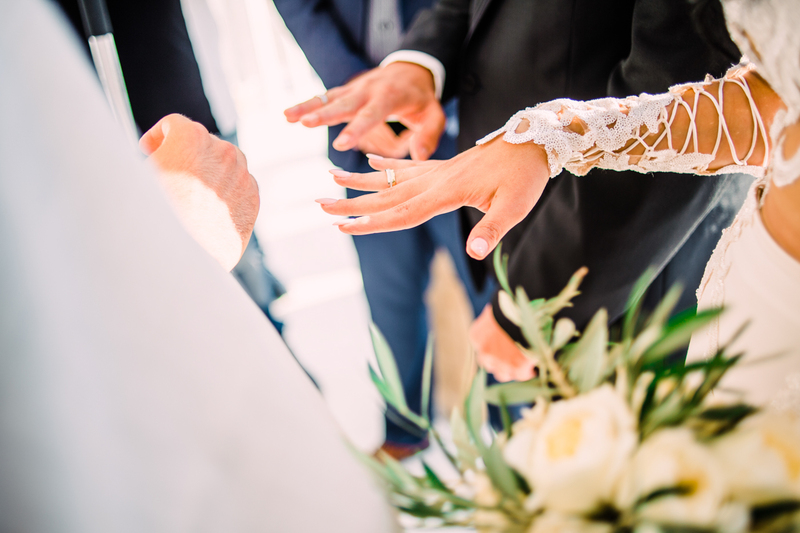 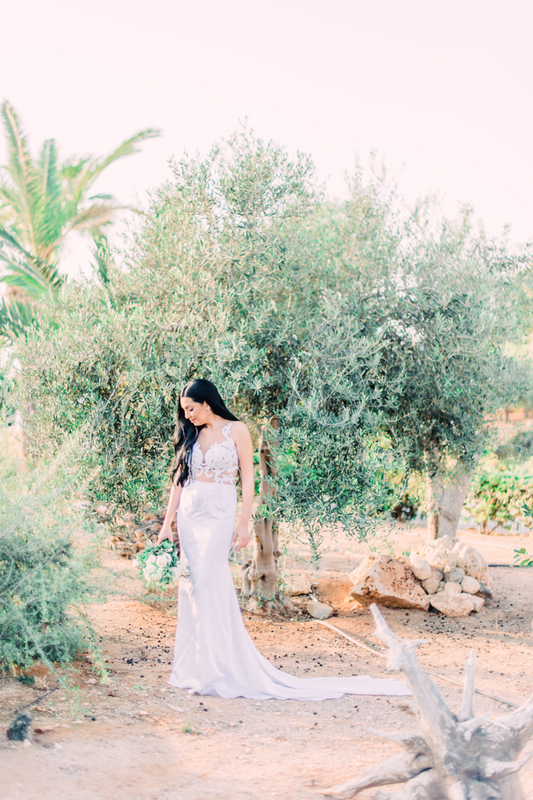 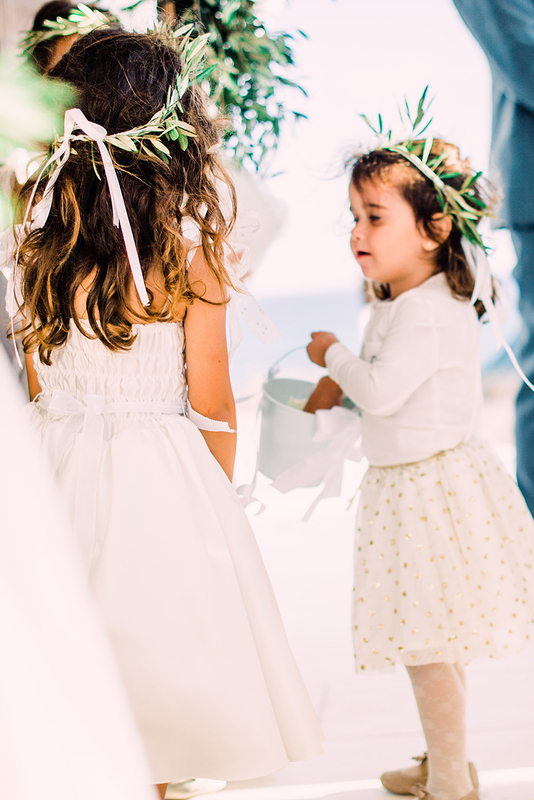 The Ayia Thekla church holds a captivating ocean side spot in Agia Napa where, just like the happy couple, only the wedding ceremony and celebration of love matters. 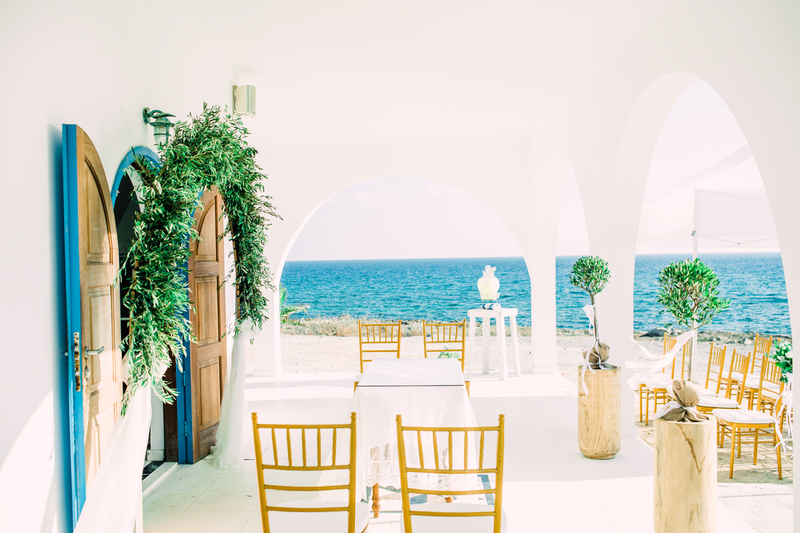 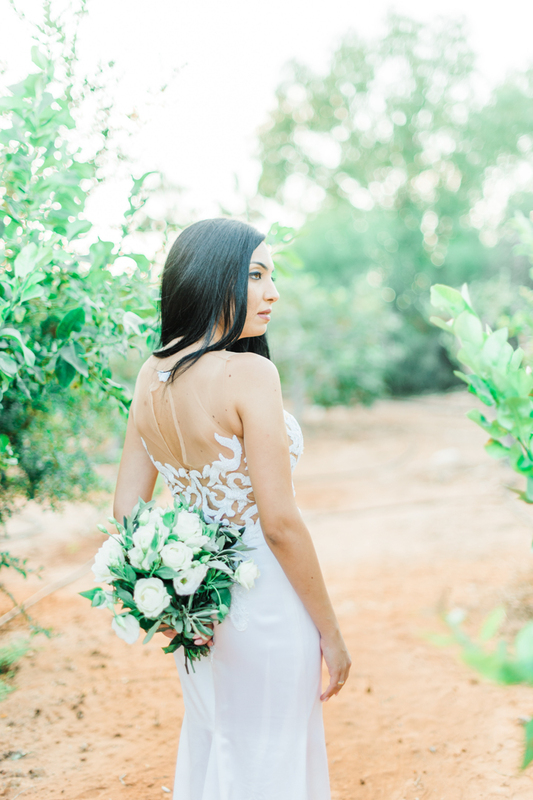 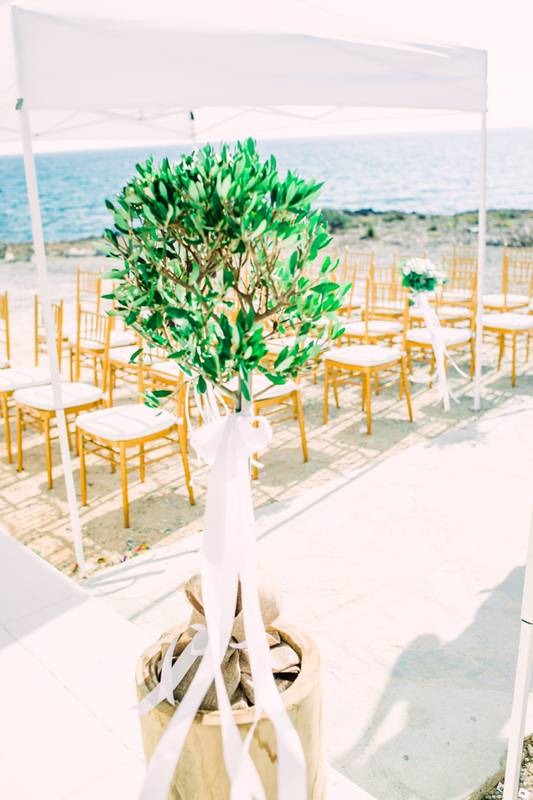 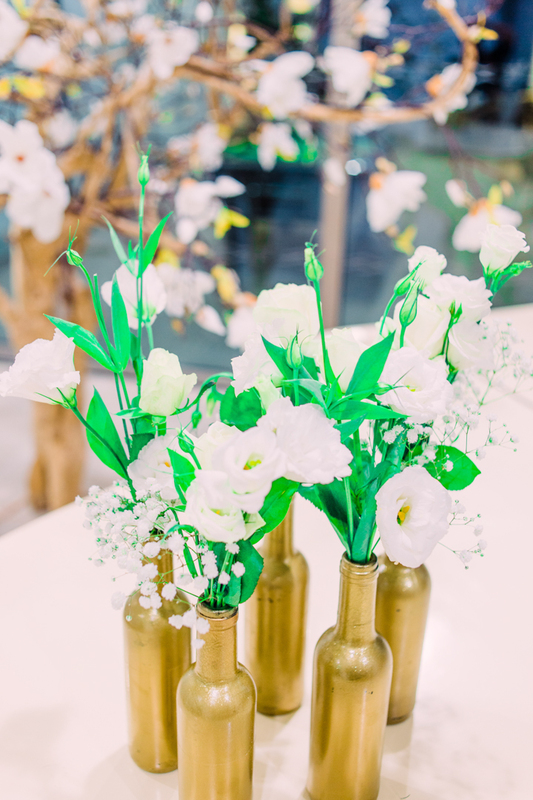 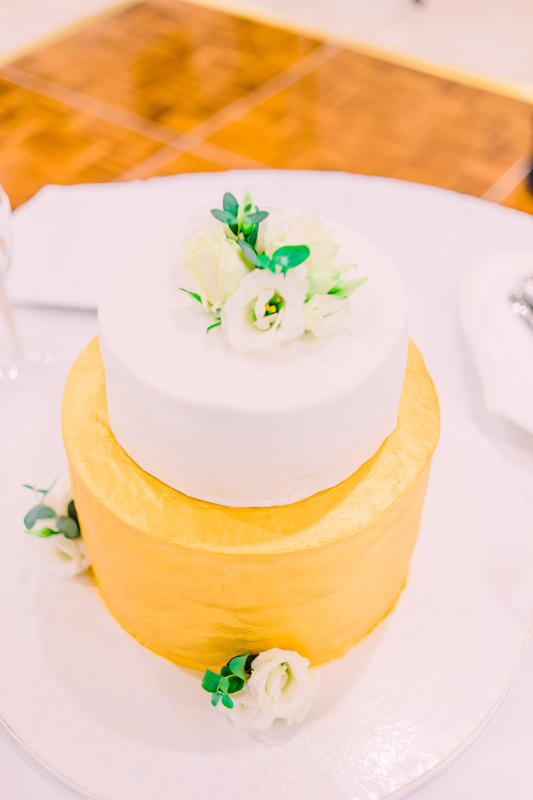 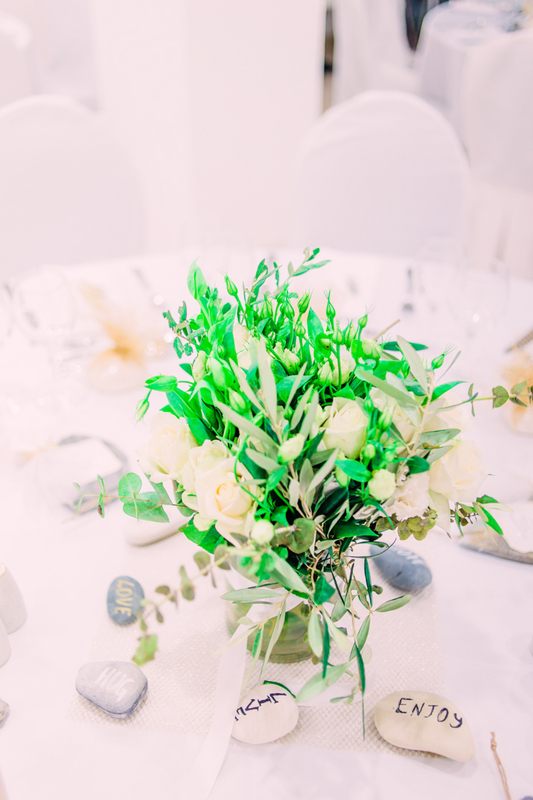 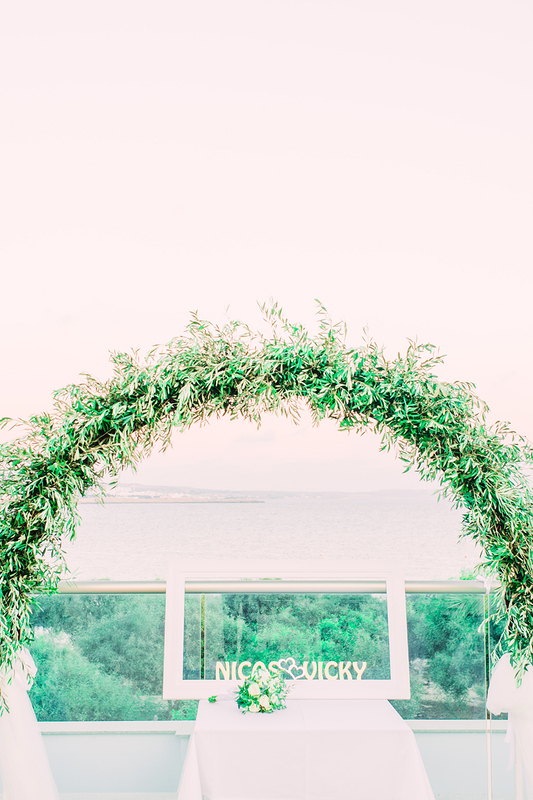 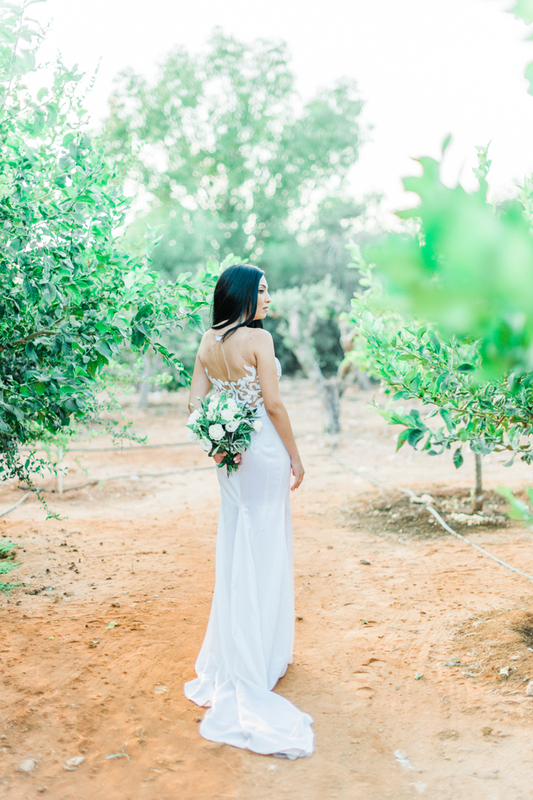 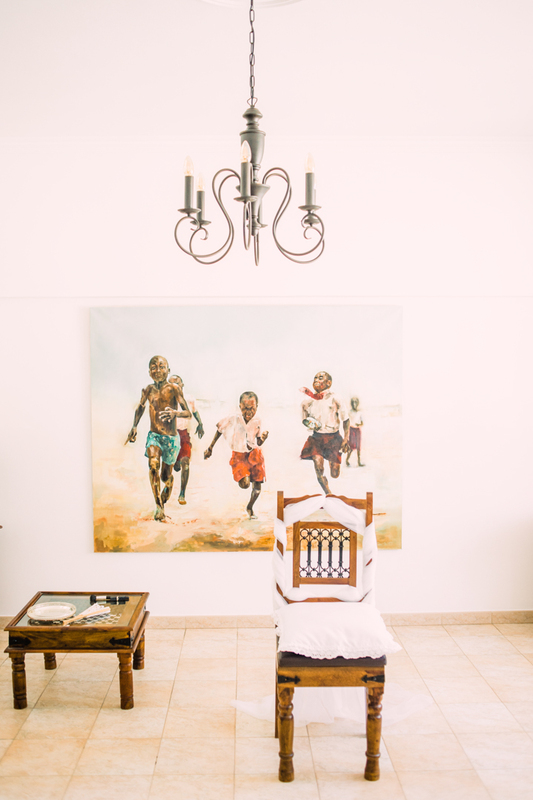 This spot has the perfect atmosphere of being secluded while the open sea and the luscious landscape surround it, and George Koyioni’s simple and stytlish floristry complimented this perfectly. 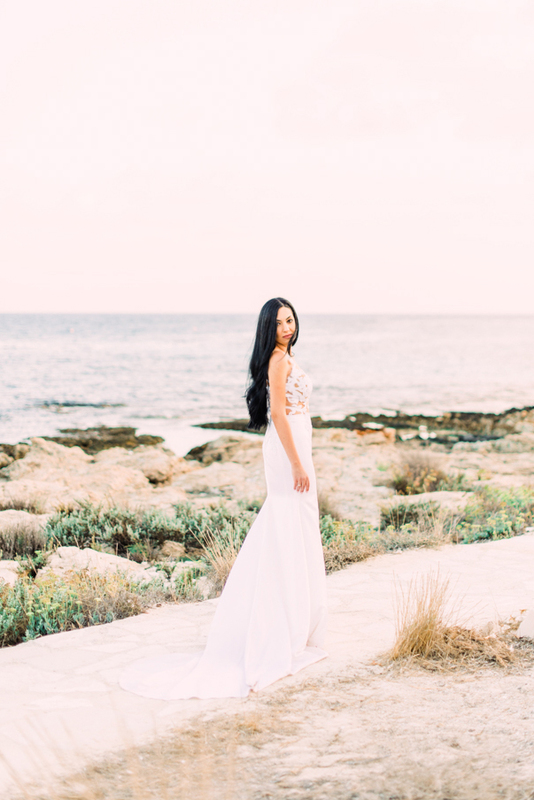 Vicky wore a sophisticated gown by Maison Anna Dorothea, which added to her movie star looks, accompanied by hair at C salon. 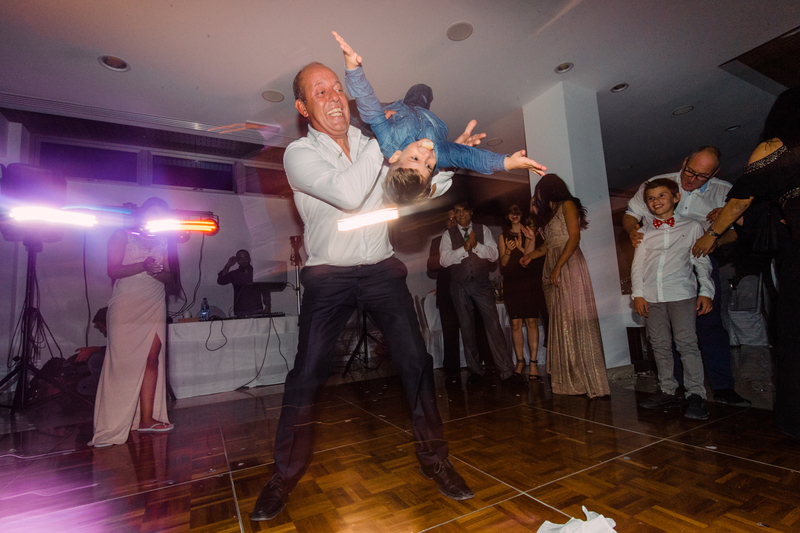 Nikos was the epitome of cool in a Kouross suit and accessories by Orlanda Boutique. 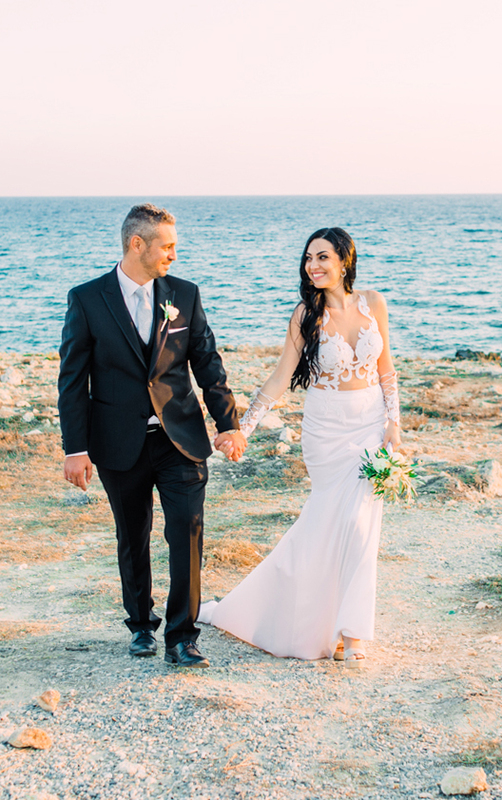 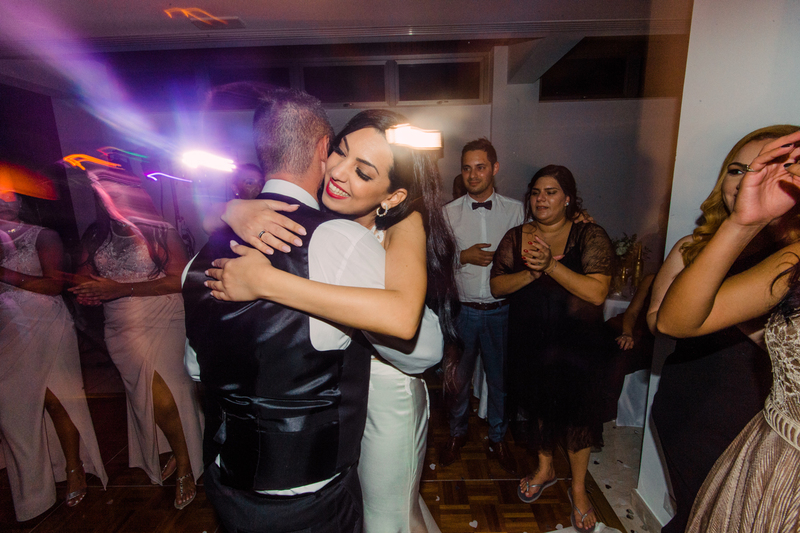 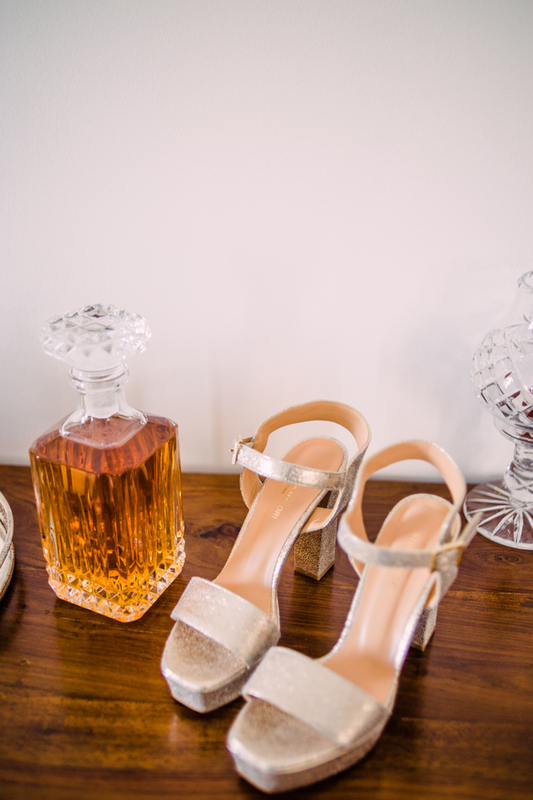 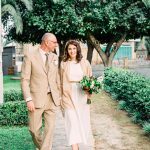 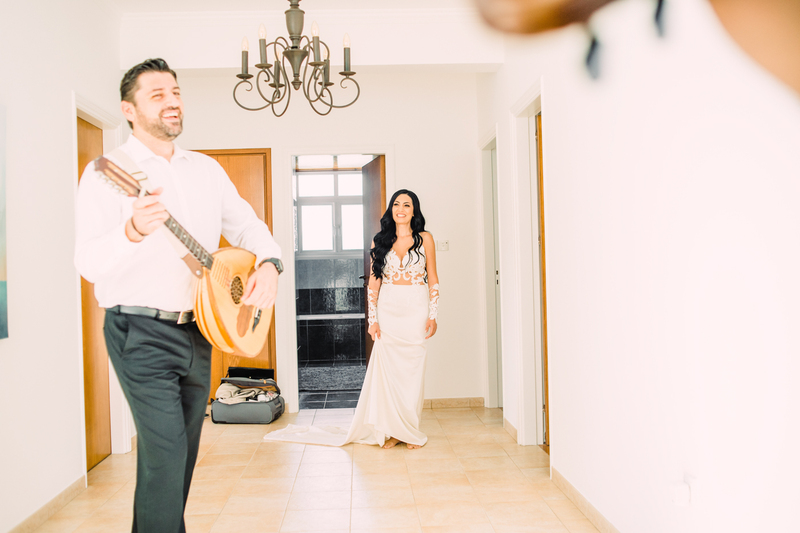 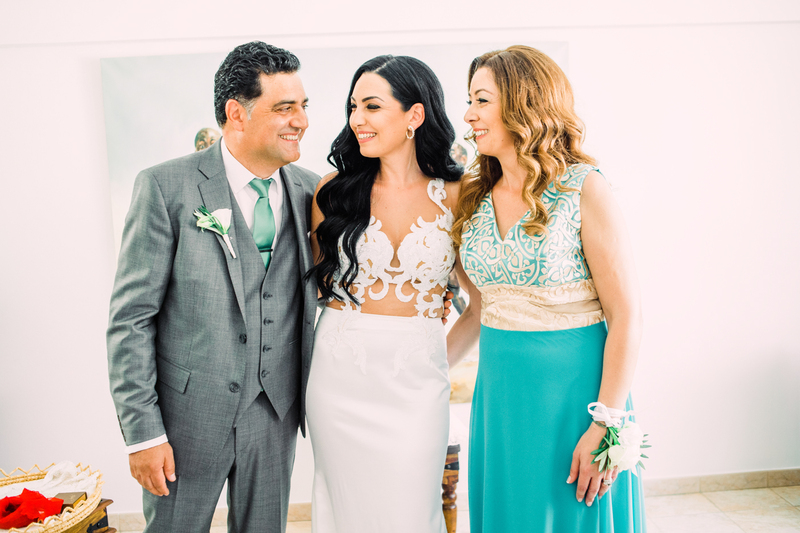 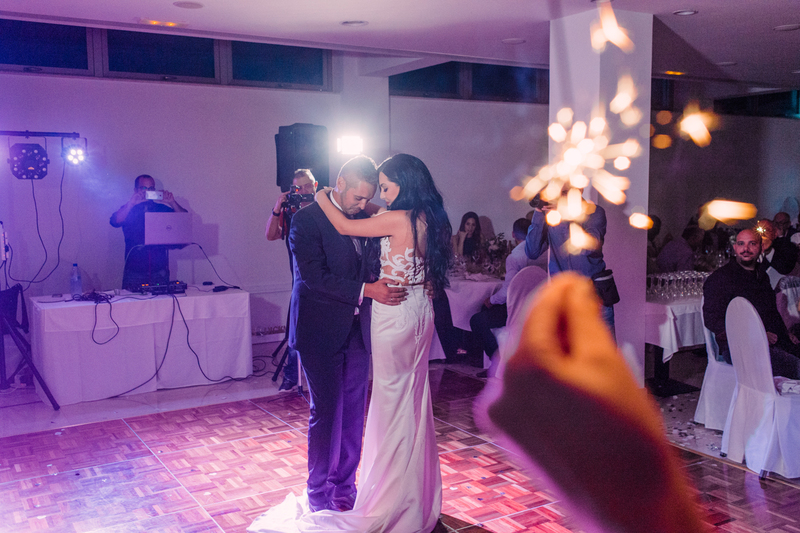 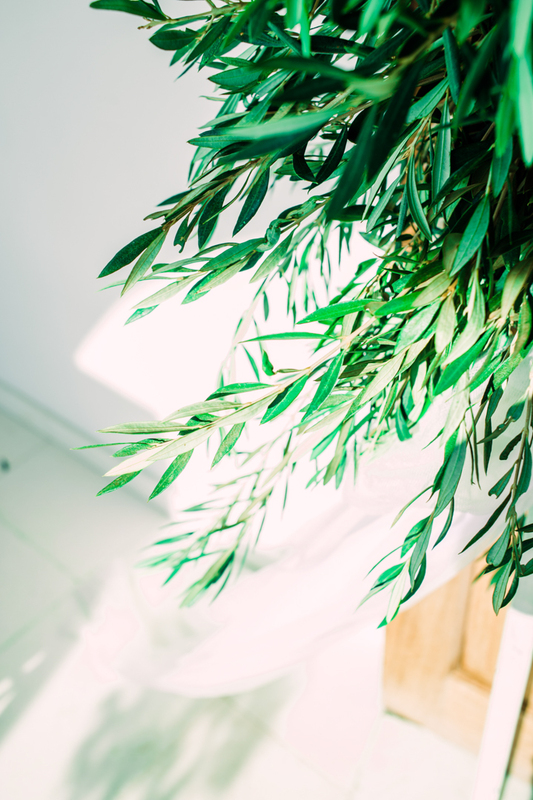 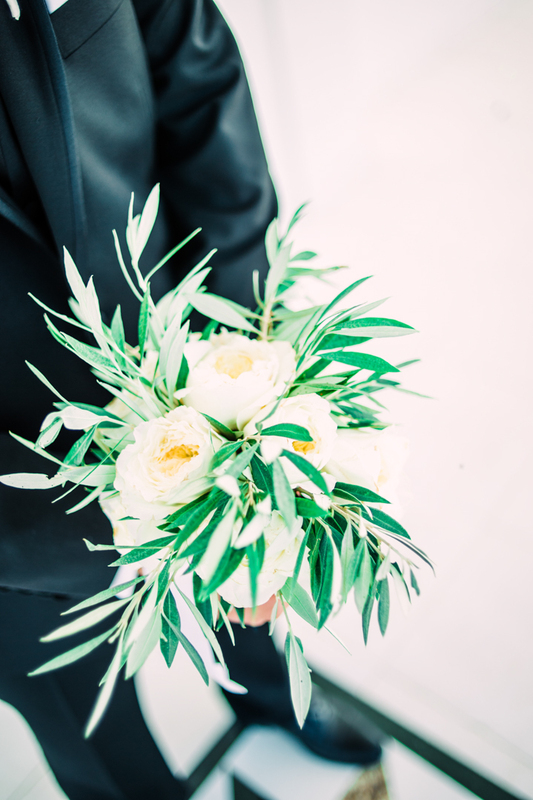 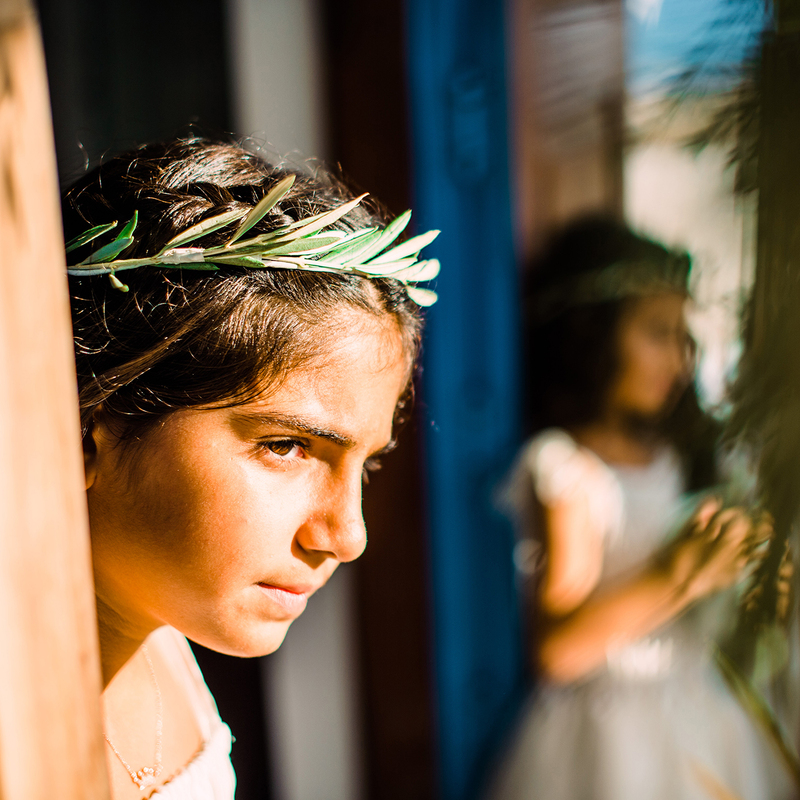 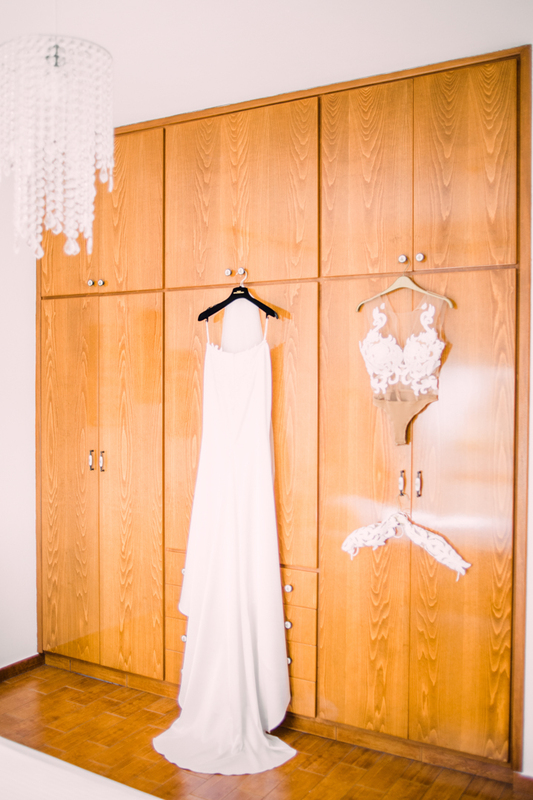 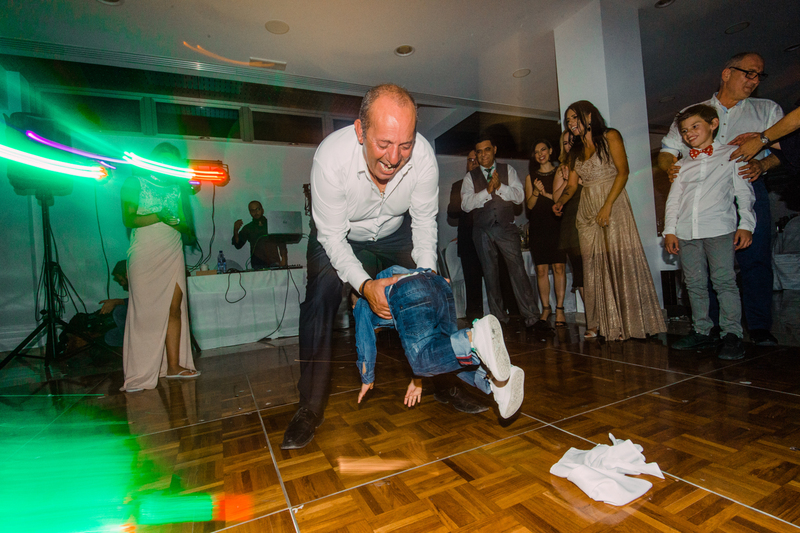 Together, Vicky and Nikos made an A list couple on their wedding day and the camera loved them. 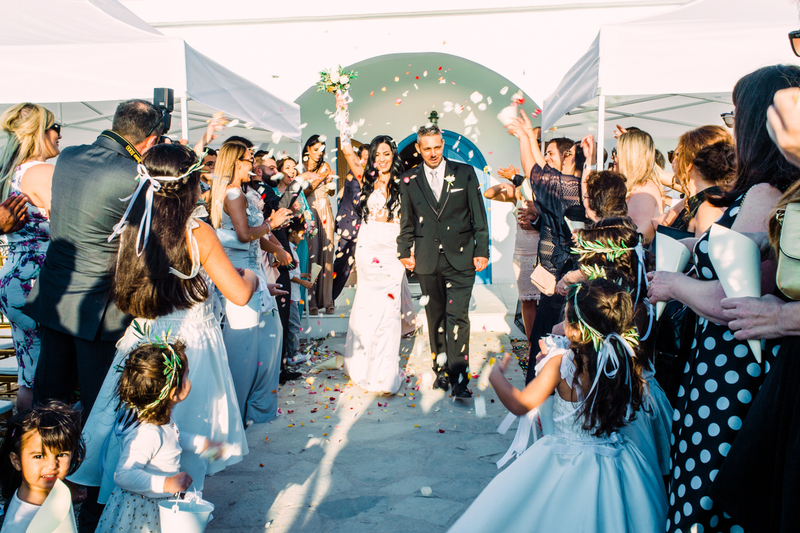 A beautiful classic wedding with love and fun at the heart of it, this is one movie story with a very happy ending.